We will do our best to accommodate your busy schedule. Whether in the clinic or at your farm or home. Give us a call to schedule an appointment today! We will do our best to accommodate your busy schedule. Request an appointment online! We now offer you the option of getting your pet medications delivered right to your doorstep. 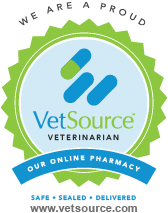 Powered by Vet Source, you can count on your pets medications being the exact same that you would receive in clinic. Click the link below to be directed to our online pharmacy. If you live in Franklin County and need a trusted veterinarian to care for your pets – look no further. Dr. Traci Helton & Dr. Jessie Richardson are licensed TN veterinarians, treating cats, dogs, horses, and more. Your pets’ health and well-being are very important to us, and we take every possible measure to give your animals the care they deserve. Midtown Veterinary Services and Hospital is a full-service animal hospital and welcomes both emergency treatment cases as well as pet patients in need of routine medical, surgical, and dental care. If you have an after hours emergency, don't hesitate to call us. We maintain a 24 hour on call availability for our current patients. We offer our services in clinic and on the road, right at your farm or house. Dr. Traci Helton and Dr. Jessie Richardson have years of experience treating serious conditions and offering regular pet wellness care. Beyond first rate pet care, we strive to make our clinic calm and comfortable, so your pet can relax in the waiting room and look forward to meeting our veterinary staff. We are happy to offer a number of resources that enable you to learn about how to take better care of your pets. Please feel free to browse our site, particularly the informational articles. The best veterinary care for animals is ongoing nutrition and problem prevention, so becoming knowledgeable about preventative pet care is essential to the ongoing success of your animal’s health. 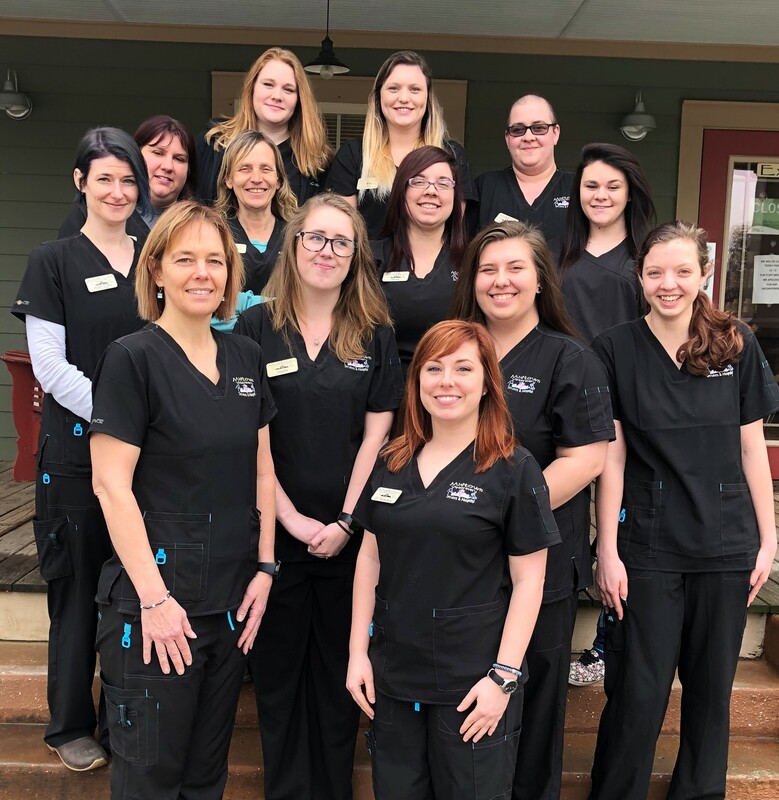 If you have any questions, call 931-962-3411.. Our veterinary office is very easy to get to and you can find directions on our Contact Us page! At Midtown Veterinary Services and Hospital, we treat your pets like the valued family members they are. I have a great passion for Animal Welfare, having worked with Animal Harbor since 2003, and always strive to continue learning. Angela grew up in Illinois and moved to Tennessee about eight years ago. Angela has been with Midtown since September 2015. Angela received an Associates degree in Accounting. Angela is married with one child. Her furry family includes four dogs, two cats, miniature goats, ducks and, chickens. In her spare time, she enjoys spending time on the lake and learning how to crochet. Kally is a Franklin County native and graduate of FCHS. She has been at Midtown since 2016. Her family includes her parents, 2 sisters, 2 dogs, and 5 horses. Kally has a life-long passion for horses. When she is not working, she enjoys barrel racing and riding her horses. Kevin is a native of Franklin County. He started working for Midtown in April 2017. Kevin is married, has five dogs, and loves working with animals and learning more about veterinary medicine. Kennedy is a Winchester native and graduate of FCHS. She has enjoyed learning about animal medicine as she studies phlebotomy. She has 2 pets, Squishy and Nike. Kennedy loves working around animals as well as listening to music in her free time. Dee recently moved to Tennessee from Ohio. She has worked for Midtown since April 2017. Dee has extensive experience working in veterinary kennels. Dee has a fiance and two cats. Dee loves working with animals and keeping the kennel clean and in great shape. "I am infinitely grateful for Dr.Helton and the entire staff at Midtown. They take the best care of my babies..."
"We love Midtown! Best doctors in the area, always there for us when we need them." "The doctor came to me on the mountain to meet with my sweet Louie and I was so impressed with the care she gave him." "We love Dr Richardson and the whole staff at Midtown! They have helped us so much and answered any and all questions we have had since getting our little Chesney. Couldn’t ask for better veterinary services!"